A detailed comparison of Hulu Plus vs Netflix vs Amazon Prime Instant Video helps you to choose best streaming service for 2015. Streaming services have gone head to head for nearly a decade in a battle of which one is the best. What you determine to be best may or may not be best for your neighbor, roommate, or for your partner. However, an end-all decision is taken by you. These mega corporations provide you various services that made television entertainment like a real luxury. They knew that they have the power, and so they charged as per that. The world of streaming services is rapidly changing and became as competitive as cable and satellite services are. These days everyone wants to cut the cord on pay-TV, and the solution is streaming subscriptions. Hulu Plus, Amazon Prime Instant Video, and Netflix are the greatest contenders. As they each have their pros and cons, and you have to determine which service is right for you. In the past few years, when streaming services have just started putting out their content. At that time, its original content grants independent rights to streaming services for unique material that have not shared across streaming platforms. Amazon has made their service better. Some of their popular TV serials like Alpha House and Bosch has done pretty well and has grabbed a good number of audiences. They are working with a handful of other projects too, and half of them are scheduled to release this year. It also creates some of their content. They provide a quirky selection of different types of programs such as – reality television, comedies, dramas, animated features, and others. Their Behind The Mask reality series was even nominated for an Emmy, and Jim Henson’s Doozers features the lovable characters Fraggle Rock from the 80s children’s show. There are around 16 series available, and undoubtedly they are with more in the works. If we compare Hulu Plus vs. Netflix vs. Amazon Prime Instant Video, then each of these services provides engaging content. However, Netflix is excelling in the market because it provides the facility of the widest selection of original content. With around 68 current releases including series reboots, new series, one-off films, documentaries, and standup comedy specials too and still many more in the works. House of Cards and Orange is the New Black is successful in their streaming content as well as in their rights too. The shows offer compelling storylines, and each of them is achieved award-winning status multiple times. These two shows are only the beginning. Moreover, Unbreakable Kimmy Schmidt has become so much happy in under a month that Netflix already has worked on Tina Fey in the next season. Streaming content provides a new element of success. The future of Netflix looks bright for its original content. Marvel’s Daredevil is going to release on April 10, 2015, and it is also expected that it will be a major hit. There are three other Marvel creations in a process also. A series of Wet Hot American Summer will release on this summer July 17th, and it will also likely be another binge-watch success. Fans of Arrested Development and Trailer Park Boys can see their favorites brought back to life after theirs. Netflix could almost certainly break the internet if they found a way for rebooting the Firefly. When we talk about global access, Netflix wins. Whereas, its competitors do not even hold a candle for the global access. In fact, Hulu Plus and Amazon Prime Instant Video cannot be accessed outside of the United States at all. On the other hand, Netflix provides its service to 61.4 million plus subscribers globally in 50 different countries. So that it is especially beneficial for those who travel internationally for business purpose and military members too. Currently, Netflix is a little more limited after North and South America. Europe provides the coverage to United Kingdom, France, Denmark, Greenland, Norway, Germany, Finland, Austria, Sweden, Switzerland, Belgium, and Luxembourg. However, its services become limited to Australia and New Zealand. So Hulu Plus vs. Netflix vs. Amazon Prime Instant Video, Netflix wins. Each country has different access and availability power that means content i.e. available in the United States not necessarily be available in other countries too due to some licensing restrictions. Language and Subtitle also may apply restrictively. For example, in Mexico some series may restrict you to display only Spanish subtitles even if there is English audio. Some subscribers are not happy with this, but there is not any option. If you want to pay for this service, then you have to make sure about its sound quality. Your internet speed has an influence on the quality that you receive, so the providers should have to be able to provide the output in a manner that you get the quality you’d expect with modern technology. 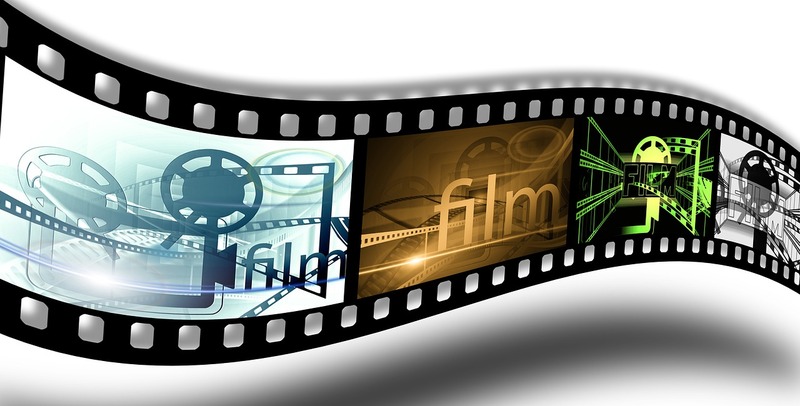 The streaming services provide the quality of your video based i.e. on your internet speed. If we compare Hulu Plus with Netflix and Amazon, then it fails in both video and audio quality. Its quality is only at 720p and stereo sound is aired at higher quality through the networks. Amazon content is primarily 1080p, and its content is release with 5.1 digital surround availability. Moreover, if we talk about Netflix, then it defeats Amazon’s 5.1 digital surround availability by providing 7.1 surround sounds on select titles. Moreover, if your device allows, then you can view selected content in 3D too. Even one more step further, Netflix is also starting to offer some of its content in “Ultra HD,” that offers 4K/UHD resolution. While Amazon has recently released some 4K content also but Netflix has plans to go even further. Moreover, they are currently working on high-dynamic range (HDR) content. This HDR content will allow streaming with surreal such as – colors and bold whites and blacks. If we talk about new releases of syndicate content, then Netflix and Amazon are both dead in the water because Hulu Plus aims to set itself apart from its competitor by providing the facility of current television series. That means you can view yesterday’s episode today. However, if you want to catch on previous seasons, then it may have difficulty with Hulu Plus. Yes, with some series for showcasing purposes the last few episodes the current season are available but not with every. If you want to catch the last night’s episode that you missed then, it is great, but it does not help you much if you wish to see an entire season. The single most important factor that you consider while choosing a streaming provider is variety. Hulu Plus is undoubtedly unique in this department and offers a unique selection of content but still their older content and movie selection is miserable. Amazon is positively trying to manage some contracts that Netflix has previously held. And allowing access to some of their fan favorites such as – The Sopranos, Six Feet Under, Oz, True Blood, and Downton Abbey . They have also picked up the contract of movies that air on the Starz channel. However, what they are trying is not quite enough. When it comes regarding options, then Netflix is the clear winner because Netflix offers twice than others. Netflix has over a million gigabytes of a content of television and movies for your streaming purpose. With that much of content, it becomes difficult to choose. So they also offer you to give one to five-star rating for the movies and television too. While Hulu Plus content is not as lengthy as television network advertisements, but still they seem forward. Hulu provides the modest ad load that is necessary to keep your costs down. Hulu Plus offers a unique selection of content. Netflix has all of the inherent content that is considerable. They even provide you the option of accessing your subscription on up to four devices, which means you and your roommates too can divide the cost and can use the same streaming service. Amazon Prime Instant Video comes like a part of a package that deals as an added benefit for Prime members who usually sign up with free 2-days shipping. You can also access to Kindle Owner’s Lending Library, which allows you to check out a book that used on your Kindle app. Not only this but also you get unlimited photo storage plus 5gb file storage with Amazon Cloud Drive. Netflix: It Starts from $7.99/month or $95.88/yr for essential service on one television or up to $11.99/ month or $143.88/yearly for paid service in HD & 4K on a max four televisions. Amazon Prime Instant Video (Start your 30-days free trial): $99/year but also has 2-day free shipping on select Amazon products and purchases, Cloud storage, and the Lending Library. The most beautiful part of streaming service is its portability. These apps allow you to enjoy your favorite series and films anywhere with 3G, 4G, or WiFi. All these apps are available on iOS, Android, and Kindle Fire, but Amazon’s Instant Video app has not access to Windows 8 phone and Nook tablet. Each service has their perks and pitfalls. However, when you compare its options, there is one clear-cut winner i.e. Netflix. It offers you the best quality, original content, and the most global availability. Netflix’s app looks and functionalities are similar to the desktop access. In today’s scenario Netflix, Hulu Plus, and Amazon Prime Instant Video are the biggest contenders, but other networks are also looking to jump into the market onto the streaming content. HBO has just announced their service i.e. HBO Now, initially it will be available on Apple. This service is different from the current service of HBO GO. CBS has also recently released CBS All Access to provide next day live stream, and previous season releases to its subscribers. NBC are also releasing their versions soon.